Massive Construction The C1’s two-chassis construction physically isolates the power supply from the audio circuitry. This allows the unit to create a sound stage having exceptional transparency, as well as providing a liberating sense of musical vibrancy, without betraying so much as a hint of stress. 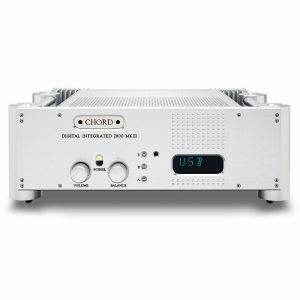 The C1’s separate 29kg linear power supply enables pristinely accurate amplification and ensures that the music signal is delivered to the power amplifiers without any loss of dynamics. This gives the music the power and vibrancy to captivate the listener. Due to the C1’s monoblock internal construction, all the elements of each channel are completely independent: from the audio circuitry to the DC power supplies, and right down to the separate AC power cables. Creating the excitement of having every musical instrument accurately positioned before you, the C1 is the crystallization of an approach solely focused on accurate stereo sound reproduction. Main Unit The C1’s main unit consists of two monoblock preamplifier modules and a logic control module. The input and output sections of each preamplifier module are constructed on separate boards, which are arranged one above the other in order to minimize the lengths of the signal paths. These modules are mounted on a unique leaf spring suspension system that was originally developed for Esoteric’s leading lineup of SACD players. Its floating design helps achieve total left and right channel independence, and enhances the sense of spaciousness and ease in the sound. Configuration The C1’s source signal is first received by the dedicated buffer amplifiers integrated with each of the five inputs (XLR x 3, RCA x 2), and the circuit configuration is balanced at each stage from there on. Through the elimination of common-mode noise and the reduction in circuit impedance,a pure signal, free from noise, is fed to the gain amplifiers via the shortest possible path. The C1’s volume control features Esoteric-QVCS. * This employs four precision switched resistor ladder networks, which change in unison when the volume knob is rotated. This arrangement allows the signal paths for the left and right channels and the positive and negative phases to be kept totally independent and as short as possible. 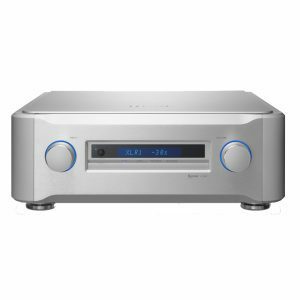 Consequently the sound has superb clarity, excellent channel separation and a highly accurate phase characteristic. In its function as a line driver, the preamplifier must have the ability to fully drive the power amplifiers in a way that faithfully conveys music signals that have an extremely wide dynamic range, extending all the way from pianissimo to fortissimo. The key to achieving this is having a circuit with both a high current drive capability and high speed. The C1’s output buffer circuitry utilizes high-performance components to deliver a very high level of current drive, together with an exceptionally high slew rate of 2,000V/μs. Each output has its own independent drive circuit, and for the XLR outputs, the instantaneous output current capability is maximized by the use of fully symmetrical circuitry for both the hot and cold phases. The C1 employs an EDLC* Super Capacitor array located close to the output buffer circuitry to function as an innovative, highly stable power source. Its compact physical size belies the fact that it provides the extraordinary capacity of 100,000μF (0.1F) for each channel, facilitating very high levels of instantaneous output power, which in turn provides strong and solid bass reproduction. 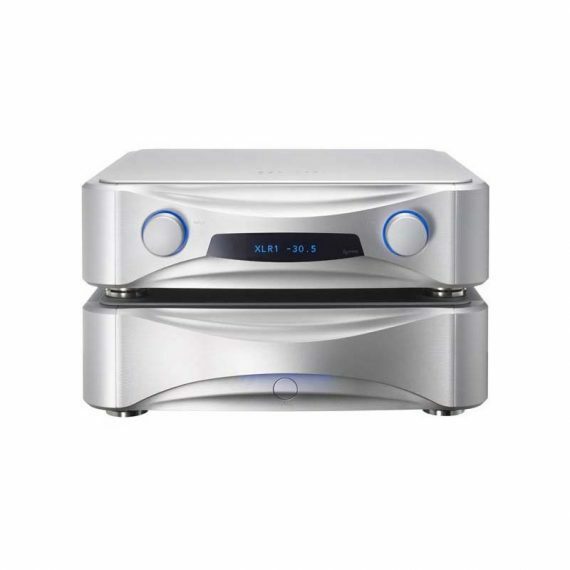 With the integration of these two technologies, the C1 recreates a breathtaking level of audio reality by preserving the musical dynamics that would otherwise be lost if smaller current transmission levels were employed between the preamplifier and power amplifiers. Five preset volume curves permit selection of the most comfortable operating feel for the control. 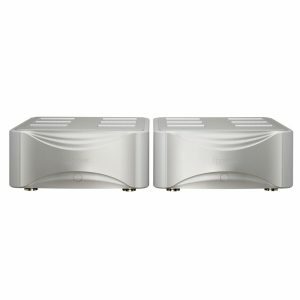 ‘RCA 2’ terminal permits switching between normal line output and AV-through output, providing added convenience for systems which are operated in both AV surround and pure two-channel modes. 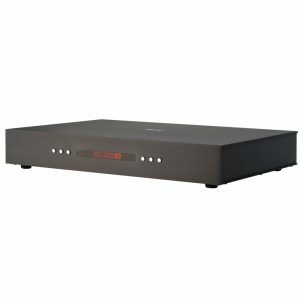 High-quality aluminum finish remote controller can also be used to operate any of Esoteric’s superb line of Super Audio CD players. Dimmer, mute, and auto-display-off functions also provided.